Discussion in 'Shoes, Shoes, Shoes' started by lmelanie, Aug 13, 2009. I searched and there wasn't a thread on this yet. He is becoming quite the household name when it comes to accessories and I thought it was only right to have a thread on his shoes. The pair you ordered are really nice! 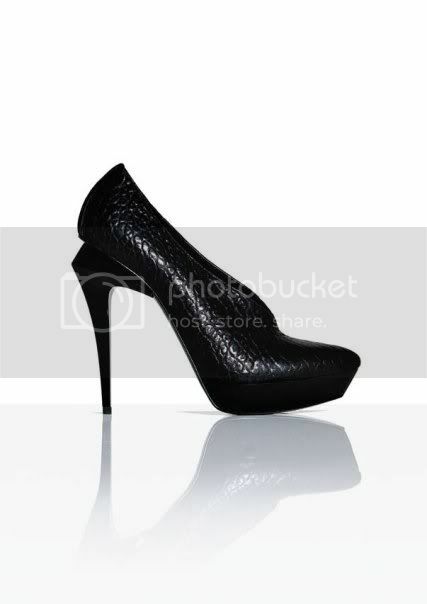 I love wedge + These 2 : WOOOW! is all I can say ; especially the white! 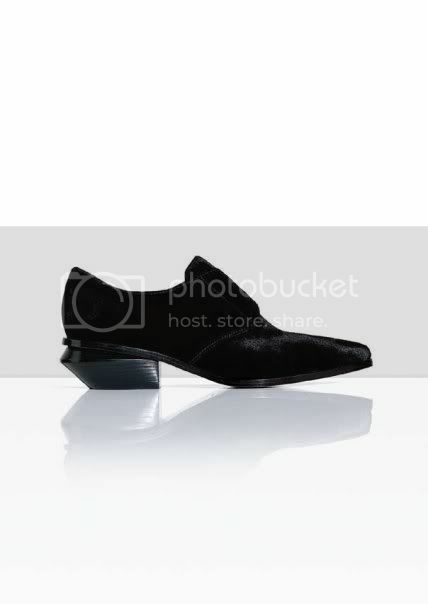 ooh those velvet oxfords are nice. I saw some of the shopbop selection and was just meh on it. thanks guys! i will post pics when i get them in the mail! His shoes are gorgeous. I hope he expands his men's line. 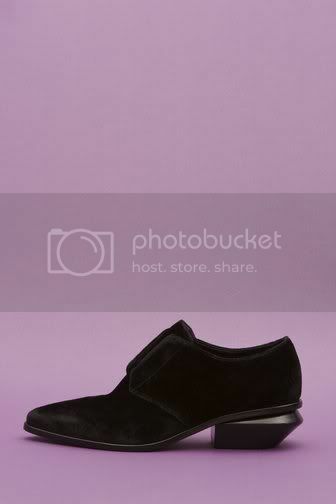 I have the Frankie Creeper flat boots and they are serious serious boots. really heavy and well made, and I love them. 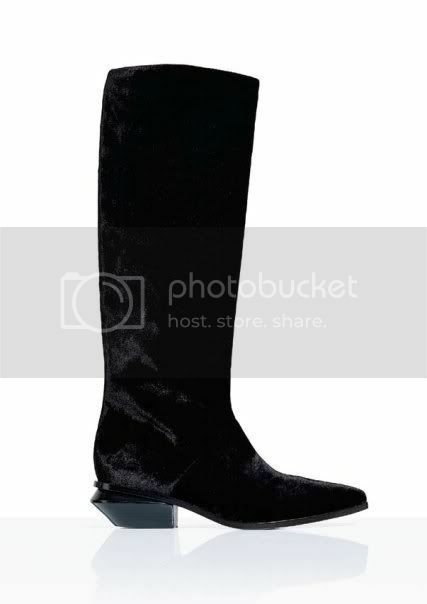 The only thing is that if you get this boot in a large size, your feet look HUGE! there's a sale of these on gilt.com right now! my eyes are on the zebra/leo wedge combos! LOVE THEM! i have them and they are amazing..they do run narrow though. do you guys know where the leopard/zebra shoes from his s/s 2010 collection are online apart from luisa via roma (they are a rip off). thanks! i need them in my life! 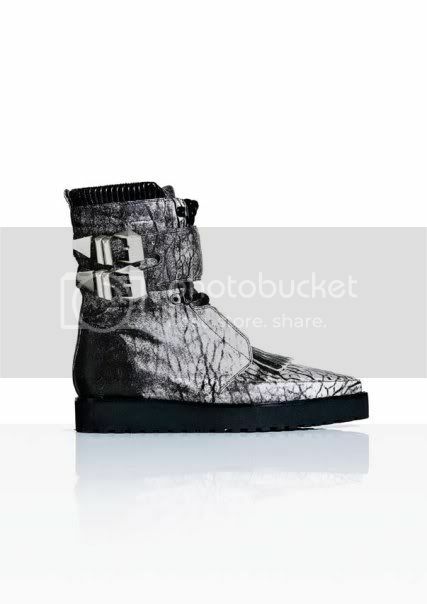 Anyone know how the Freja lace-up boots run? They only come in full sizes and I'm not sure if I should go up or down 1/2 a size. My frankie creeper boots make this jingling noise when I walk. I've had them for a bit, but it's only starting to bother me now... has anyone noticed this? I'm thinking about taking them to a cobbler to get secured. Also, does anyone find the weight to be an issue? I mean, I don't notice while they're on but once they're off, GEEZE.